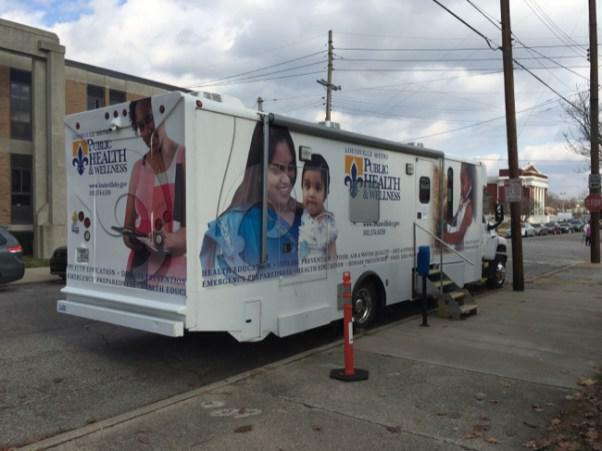 Since June, a large mobile van parked outside the Metro Department of Public Health and Wellness on East Gray Street downtown has been the frontline of Louisville's battle against its heroin epidemic. 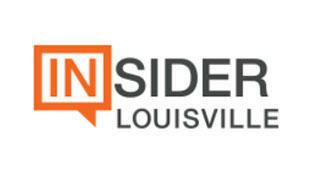 Inside is the first free syringe exchange program in the state, made possible by the state legislature this year and passed unanimously by Metro Council in April. The primary goal of this program is to prevent an outbreak of HIV and Hepatitis C cases in Louisville, which is precisely what happened 35 miles north in Scott County, Ind., earlier this year. Due to the rampant use of shared needles among heroin users in the tiny rural town of Austin – with a population of 4,200 – 181 people contracted HIV and 167 contracted Hepatitis C. According to the figures of the health department, if such a proportional outbreak was to happen in Louisville, those numbers would be 30,000 and 25,000, respectively, with treatment costs estimated to be a staggering $40 billion. But preventing the spread of blood-borne disease among intravenous drug users is far from the only goal or intended benefit of the program, as Insider Louisville observed for eight hours over two afternoons last week while sitting in with health department counselor Matt La Rocco as he spoke with participants in the program. Observing over 70 participants in this period, La Rocco discussed the extent of their drug use, then gave them the corresponding amount of new syringes for the next week, along with other supplies like empty tea candle tins, containers of sterile water, small cotton balls, tourniquets and a storage bin that can hold up to 50 used syringes. Those who were new to the clinic received free HIV and Hepatitis C testing, as well as a variety of pamphlets on disease prevention and drug treatment. But most of these patients received much more than clean supplies, pamphlets and a blood test. La Rocco dispelled misinformation about how such diseases are contracted; taught users about how to prevent track marks, wounds and infections from improperly inserting needles; gave warnings to those most at risk for an overdose or physical injury; and spent hours going over treatment options that will help them overcome their addictions – if they so choose. For those patients who were the most distraught at where they found themselves in life – hopelessly addicted, severely depressed and not knowing what to do next – he served as a person to talk to about their troubles without casting judgement, at times providing a shoulder to cry on. La Rocco told Insider Louisville they expected to serve around 500 people at this early point in the program, but as of early December, 1,450 people had participated, with 44 percent of those returning at least once. Last week, 76 percent were returning participants. "It's not that there are more addicts in Louisville than we thought," said La Rocco. "We just didn't know that this program would be so popular. Most programs take years to get off the ground and have this type of participation." La Rocco partly credits the large number of participants to the credibility of the health department, but also to the respectful and nonjudgemental manner in which he, fellow Volunteers of America counselor Donald Davis and the nurses treat clients, which has helped build trust. "We show that we care for these people," said La Rocco. "We get them jackets in the winter if they're living on the street. They're treated with respect, like people. It's important to be kind, loving and compassionate. They also know they will get good, unbiased treatment. All of that together has drawn people in." Early numbers from the program show that Louisville has acted proactively enough to jump ahead of any potential outbreak of communicable diseases among intravenous drug users. So far, 166 people have been tested for HIV, with none testing positive. While many already know they have Hepatitis C, 95 have been tested for that disease, with over 60 percent being found positive. In addition, 91 people have been referred into a drug treatment program. Participants are not required to turn in the same number of used needles as they receive in new ones, though La Rocco continued to stress to those who failed to return syringes as to how important that is to both public safety and the program itself. While the ratio of new syringes distributed to used ones received was nearly 9-to-1 when the program started, it has fallen to a steady 2-to-1 rate in recent months, with the department having a long-term goal of a 90 percent return rate. As for the participants IL observed, the diversity of their demographics and backgrounds might surprise many. Their ages ranged from early 20s to late 50s, with just over 60 percent being male. Over 90 percent were white, even though whites comprise roughly 74 percent of Louisville's total population. While most live in Louisville, some made the trip from Southern Indiana and other Kentucky counties. Almost half indicated they were unemployed and at least six were homeless, though most indicated they had health insurance, most commonly a Medicaid plan. Still, many participants had steady jobs and did not outwardly resemble what many would expect a heroin addict to look like. Some were fashionable 20-somethings, while others were conservatively dressed in their 40s – including an African-American Muslim man who engaged in a prolonged philosophical and academic discussion with La Rocco about the nature vs. nurture aspect of addiction. A number of couples came in together to get syringes, and while some indicated they had several children at home, some of the younger people said they still live with a parent. There also was a wide variety of experiences when it came to participants' drug use, though almost all shared a specific addiction to heroin. While most indicated they inject four or more times per day, a few said they only inject once or several times a week. Eight people said they inject 10 times per day, while others took no needles at all and said they had either entered or planned to soon enter a drug treatment program. Most people said they already have been in treatment at one point in their life, though some flatly refused La Rocco's offers of information about available programs. La Rocco often engaged in conversations about unrelated topics – from cartoons to his own family — in order to help break the ice so they might open up and share more of their own experience, but others were tight-lipped and uncomfortable, sticking to one-word answers. For those who were closed off, La Rocco did not push drug treatment, saying of one, "He didn't want to talk to me, but he'll come back and he might be ready next time." Indicating how trust with such participants must be built up over time, the next day a man came in and had a lengthy casual discussion about his drug use. "That guy used to be standoffish and barely said a word to me," said La Rocco. "Now he's having conversations with me… that's progress." Though many of the participants have been hardened addicts for many years, it was common that such people had no idea how to properly inject in order to avoid serious physical damage to their arms and veins, while others were misinformed about how diseases are contracted. One 30-year-old longtime drug user revealed several bad track marks and infections on her arms, with La Rocco giving his common refrain about not hitting the same spot more than once in a 24-hour period. "I've been shooting up for eight years, and I've never had a conversation like this with anyone," she told La Rocco, who informed her that this is intended to be a safe place for her to talk about such things. "I have a whole crew back at the house who don't think this place is real." First-time participants often had the same moment of shock when they realized they could obtain clean syringes and supplies, saying they had heard about this program but had trouble believing it was legitimate and not an elaborate police sting operation. A woman in her 40s who has returned multiple times to the van told IL about her early suspicions that have melted into trust, expressing great gratitude for the supplies and medical advice to treat and avoid the infections from which she previously was suffering. "The first time I came here was really scary," she said. "Like, is there a cop outside who's going to follow me home and bust me? But they made me feel really comfortable, they talked to me and broke the ice. I really need this, and I don't take it for granted… If this van wasn't here, a lot more people would be sharing, I know that for sure." A man in his 30s informed La Rocco that he had recently tested positive for Hepatitis C, but said that he "gave it to himself" because he doesn't share needles. La Rocco respectfully informed him that this is not possible, as you can only contract the disease from another person. Asked by La Rocco if he shared drug paraphernalia with other users – like the tins that are used to cook and extract the heroin from – he conceded that he had. "I had no idea," said the man. "I wish I would have known that before… at least I won't give Hep C to anyone else now." La Rocco told IL that was a perfect example of how person-to-person interactions with professionals – not just clean syringes – add to public safety. "There's so much stigma and so much shame that people don't talk about their drug use," said La Rocco. "Some people are long-time addicts, and they still have no idea about these things." He also had to warn several people who live or use with fellow addicts to not keep their used syringes in the same storage bin, as when addicts run out of new syringes they are often tempted to reuse one and would not know which one they had previously used. He also warned that buying needles from dealers or fellow addicts was dangerous, as there is no guarantee as to whether they have been used before. La Rocco often asked participants to show their arms so he could see their track marks, at least a dozen of which showed severe scarring and infections from reusing the same needle and hitting the same spot too often. One young man revealed that he hit a nerve and had lost feeling in his fingers, while another young woman's wrist had swelled with a bad infection, as La Rocco directed her to go immediately to the emergency room. The site of a public health official teaching people how to properly inject drugs might seem paradoxical, but La Rocco pointed to the countless examples he's seen of blown veins and infections that can lead to serious permanent nerve damage and illness – saying if they are set on injecting, they should at least do so safely. He added that many are able to kick their addiction but are left with permanent scars that could hinder them from employment or friendship for the rest of their lives. Several people indicated they had just started using again after being clean for a period of time or just got out of a treatment program, with La Rocco warning that they are at a particularly high risk of an overdose because they no longer have the same tolerance to heroin and need to use a much smaller dose. "You are at a very high risk for an overdose right now," said La Rocco to a young homeless man who has been in and out of treatment several times. "Be very careful. I don't want to see you on the news, man." A few participants said they were visiting the exchange because they used to buy new syringes from Walmart, but the store had recently stopped selling them – or refused to sell them to that person because they suspected they were an addict. While La Rocco understands the reasoning for stores or pharmacies doing so, he asked, "Do they think they'll just quit if they can't buy a clean syringe? It doesn't work that way with addicts." While the ratio of new syringes distributed to used syringes returned has remained steady at 2-to-1, La Rocco told IL there are many factors and barriers involved that prevent or discourage users from bringing all of their used needles back to the exchange. Though the Louisville Metro Police Department has instituted a new policy in which they will not arrest someone for possessing drug paraphernalia if they have a card issued by the exchange and they tell the officer they have syringes, La Rocco says many do not believe this is true and are reluctant to risk carrying a large amount of syringes back to the clinic. According to two clients IL met at the exchange, such fears may be warranted. A young couple showed their arrest report for having the used needles in their car, claiming that despite showing the LMPD officer their card, he told them he would only drop their charge if they helped turn someone in. While LMPD has instituted this new rule, the same does not apply to law enforcement in Louisville's small cities, nor to police in other counties – with a woman commuting from another county also saying state police recently charged her for having paraphernalia in her car. Others expressed difficulty in transporting the used needles back to the clinic, as they don't have a car and are hesitant to carry around a box full of syringes on public transportation. La Rocco said the homeless face particular barriers to returning syringes, as they often don't have a set place to store their bin and are reluctant to carry it. One homeless man said his drug house was shut down by the police, so he couldn't retrieve them. For those reluctant to bring back used syringes, La Rocco suggested at least putting them in a secure plastic bottle and storing them in a dumpster so no one else is stuck by them, with several people indicating they had done so. Another potential barrier to returning needles are the participants' own family members, as they are often hiding their addiction from loved ones and dispose of needles as soon as they can instead of storing them in a large red box in the house. One man apologetically said his wife had found his bin full of used needles and threw them away. La Rocco hopes the city will allow public disposal boxes to be put up around the city, giving those with barriers to coming downtown the opportunity to safely dispose of needles, though he says, "The only downside of that is it's very important that we have that physical interaction with participants here." Helping improve access to the exchange are two new sites in west Louisville: One at the Lake Dreamland Fire Station near Shively opened in October, and another at Redeemer Lutheran Church in the Shawnee neighborhood is set to open this month. Several participants told La Rocco how much they used every week, then requested an amount of new syringes that was considerably higher. Though some might have been requesting a larger amount so they could give extra syringes to others, La Rocco said many honestly underestimated how often they inject, putting the magnitude of their addiction in a new perspective. "One of the good parts of this is it gives them a dose of reality on how strong their dependence is, and causes people to be honest about the extent of their drug use," said La Rocco. "That can be a big wake-up call for them. That's why I often say tell them it's important to keep track of every time you use." A homeless man with Hepatitis C who has been a regular participant of the exchange was the first to enter when the doors to the van opened one afternoon, but he didn't come to take any syringes. Instead, he informed La Rocco he was quitting in order to be eligible for a drug treatment program with Suboxone, a drug to help heroin addicts break their dependence while lessening withdrawal sickness and is covered by his Medicaid. "I can't say I'll never use drugs again," he said, "but I want to quit for long enough to get treatment." "He didn't take any needles!" La Rocco excitedly said later. "He just wants treatment. That's a clear indicator that this is working, that people can be steered toward treatment." La Rocco describes himself as a conservative Christian, acknowledging he's not the type of person many would expect to be handing out needles to drug addicts. However, he shared a common struggle with his clients, openly discussing his battle with drug addiction and his path to recovery, now being clean for six-and-a-half years. He shared his business card with all new participants, inviting each to call him if they needed personal help with counseling. In a hidden camera sting story for WAVE3 last month, reporter John Boel portrayed the exchange as being run by bureaucrats who were disinterested in helping to steer addicts toward treatment, rather just needle pushers who enabled abuse. A number of participants were overheard complaining about the story as a dishonest smearof the program they value, saying it was more focused on scaring people than giving an accurate picture of the full services it provides. La Rocco declined to comment on several aspects of WAVE3's story, saying the program shouldn't be immune from criticism and can always improve, but he and health department nurse Takeisha Nunez – who was featured in the video – did take issue with how the hidden camera footage of their producer posing as a participant was portrayed. The producer would not even tell them how often he was injecting, with Nunez explaining that "if you can't even tell me anything, and I push you to commit yourself to treatment, that client is never coming back." Screenshot from WAVE 3's story on the needle exchange. IL witnessed such an attempt that did not end with any notable success. A first-time participant who indicated he was injecting heroin 10 times a day was blunt with his answers, dismissively responding to La Rocco's question asking if he has considered signing up for health care through Kynect with "I strongly disagree with free health care." La Rocco tried to broach the subject of treatment, which was quickly shut down. However, most people were much more open to talking about treatment, with a number venting their fears and frustrations with what drug addiction has done to their lives. A young woman at the exchange for the first time was sullen and nervous, until La Rocco asked her if there was anything wrong that she wanted to talk about. For 15 minutes, she spoke through tears about her struggles with heroin since she started injecting it two months ago, with La Rocco discussing several options if she wanted to break her addiction. At the end, he asked her if she wanted a hug, which she readily accepted. "I can't check any boxes for her on seeking treatment, but she basically just had her first counseling session with me today," La Rocco later said. Many participants spoke about their past attempts and setbacks with drug treatment programs, whether that be with a short-term facility, Alcoholics Anonymous classes, faith-based or non-faith-based programs, or methadone clinics – or even trying to quit cold turkey on their own. Some said they weren't ready to go back into treatment just yet, while others announced they were entering a treatment program soon, or were on a wait list for one. Several said they were still searching for a treatment program that was the right fit. "The two issues that are a problem in Louisville are the availability of treatment, and the availability of the right type of treatment," said La Rocco. "Generally, somebody can probably get into short-term programs at (Jefferson Alcohol and Drug Abuse Center) or Our Lady of Peace, but you might have to wait more than a few days to get in. The problem is, when someone's looking for treatment, they're not going to look for a few days or wait for a few days. It's usually a pretty small window." For those who are able to find treatment, La Rocco said most of Louisville's treatment programs lack diversity in how they are structured, which means that a patient might struggle to find one that is the best fit. "Some people need to sit in a room and talk to people, they need a hospital-type setting where you sit in a room and listen to people and read books," said La Rocco. "But other people's minds can engage better if they're physically moving, out cutting wood or digging a hole. So we don't necessarily structure recovery centers that way to really engage people who learn in different ways, and that's problematic." La Rocco commonly encounters addicts who would best be served in a long-term treatment program, but there aren't many open spots in Louisville, and they're often not covered by insurance plans or are too expensive for some to enter. "Sure, you can go and get three days or a week or two weeks in a program, but if you needed six months or nine months or a year in Louisville, you don't have a lot of options for long-term residential-style treatment," said La Rocco. "And a lot of people on opiates need three months or six months or nine months before it's going to stick." An African-American man in his 20s entered the clinic after getting out of a short-term treatment program that morning, telling La Rocca that it didn't help. "I just picked up people to help me get more drugs, to be honest," he said. "I was so ready to quit when I was there…. I need to quit, it's so stupid." "You're not stupid, that's just addiction," replied La Rocco. Asked if he wanted to enter a long-term treatment program, he said that he did, and La Rocco spent a considerable amount of time going over his available options. According to La Rocco, part of the reason why treatment options are so limited for those seeking help is the heavy focus of state and federal government resources on supply control – interdiction, arrests and incarceration – over that of demand control, which is intervention, treatment and prevention education for teens. "We know that when you focus money on supply control, the most generous estimations are that you get back like a dollar for every $10 you spend," said La Rocco. "Demand control, it's the opposite. You spend a dollar, you get $7 back… So we've heavily invested in something that doesn't yield good results, monetary or otherwise." La Rocco also said that much of the drug prevention education geared toward kids is basically misleading propaganda, which is easily discarded by young people once they see evidence that counters its claims. "If you tell a kid that if you smoke weed, you're going to start using a bunch of other drugs and it will ruin your life and kill you, and then they look at their friend's dad who's 40 and has a job and smokes weed on occasion, they're going to say 'all of that stuff you just told me is a lie,'" said La Rocco. "So we don't really have an honest conversation with kids that focuses on helping them make an informed decision about drugs by letting them know all of the potential risks, letting them know some are more at risk for addiction because of environmental or genetic factors… 'Because I say so' doesn't work with my 4-year-old, and it doesn't work with teenagers either." One of the last participants IL witnessed at the exchange was in the worst shape: suffering from severe depression and suicidal thoughts, losing custody of her kids, suffering an infection from repeated injections that would send her to the hospital, and struggling to kick a heroin addiction despite attempting many types of drug treatment, from Suboxone to methadone to short-term facilities. "I'm aware that heroin is making my condition worse, but I just don't know where to go," she said through tears. "I don't have a magic bullet, but I can talk with you and will do everything I can," said La Rocco. After a long talk about her options, he hugged her and told her that he loved her. "She needs long-term treatment, and that doesn't exist for someone like her right now," La Rocco said later. "She needs a one-year program with psych meds in a residential facility. She could do well if A, B and C were lined up for her. But folks with mental health issues often drop through the cracks." "As progressive as Louisville wants to be, it's a city that still doesn't fully understand addiction. Not everyone in Louisville can have a person-to-person interaction with addicts. If you don't have that understanding, it's difficult to address." A couple who will soon both be 24 years old shared with IL their experience with heroin addiction, detailing the gateway of painkillers to stronger opiates, what it's like to live in a place without a syringe exchange program, and their hopes to find drug treatment. She has been addicted to opiates since she was 17, once clean for a year-and-a-half after finding and using methadone on her own, but now back to injecting heroin five times a day. He just started injecting heroin two months ago – partly due to wanting a bonding experience with his girlfriend, but mostly stemming from his dependence on pain killers from a back injury he sustained in the Army while serving in Afghanistan. "While I was in the process of getting out of the Army, for 13 months I was prescribed Percocet, like 90 a month," he said. "So I got really used to opiates and I built up a tolerance. And as soon as I got out of the Army and I was cut off from that, I still had back pain. I went to the VA trying to get situated there, but the appointment was about a month away from the time that I went to go see them and, it's like, I need something now. And obviously heroin is an opiate and a pain reliever, so I don't necessarily abuse it, but…"
"Don't do that," she interjected. "Don't say you don't abuse it." "Well… if anything it does alleviate the pain, though." Asked about Louisville's exchange, she noted that she once lived in a state without such an exchange, which presented a significant risk for addicts to use tainted and used needles. "In my old state there was no exchange, so you're more inclined to ask someone if they have a needle," she said. "And if you're dope sick… you may not ask if they have bleach, you're just going to use it. That's bad. It's bad to admit, but I've seen so many people do it." Though she said she never shared a needle, "I would use a syringe until it's so dull that you're crying as you push it through your skin. All of your numbers on the syringe are worn off because your fingers have touched the anchor for so long. It creates scar tissue and you're tearing apart your veins, because it's pushing them aside, as opposed to just going right into it." Asked about critics of Louisville's exchange program, he replied that "it's basic economics. As long as there's a market for something and people want something, they're going to find a way to get it and use it. And it's better to have a public health system that is monitoring this and making sure the syringes are clean." Though they picked up new needles, both said they soon plan to join a methadone program to end their addiction to heroin. Though she said methadone is effective at curbing the craving for heroin, she said this drug is much harder to ween yourself off of than Suboxone – a drug that many consider to be more effective to help end an addiction, but is also more expensive and harder to find. She said they planned to find a methadone clinic next week, "once we run out of drugs… hopefully."